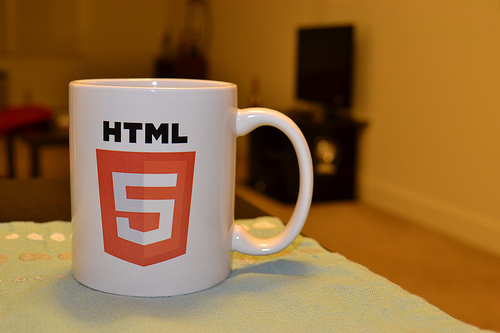 Web developers are not particularly holding back when it comes to HTML5, with half of the world’s devs currently working on the new standard. According to a survey done by Evans Data, out of 1,200 web developer respondents, 40 to 60 percent use HTML5 as opposed to older counterparts such as Adobe Flash and Microsoft Silverlight. The Asia Pacific recorded the highest HTML5 usage at 58 percent of regional Web developers, followed by the U.S. at 43 percent, while Europe, Africa and the Middle East punched in at 39 percent of developers. Totals reach more than 75 percent after Evans Data added in ‘planned use’ responses. One of the early adopters of HTML5 technology is Microsoft’s Internet Explorer 9, which presented an HTML5-based game at the recent Consumer Electronics Show in Las Vegas, while other companies also keep on pushing it online.